In the south west corner of St James’s Gardens is the Spanish & Portuguese Synagogue. 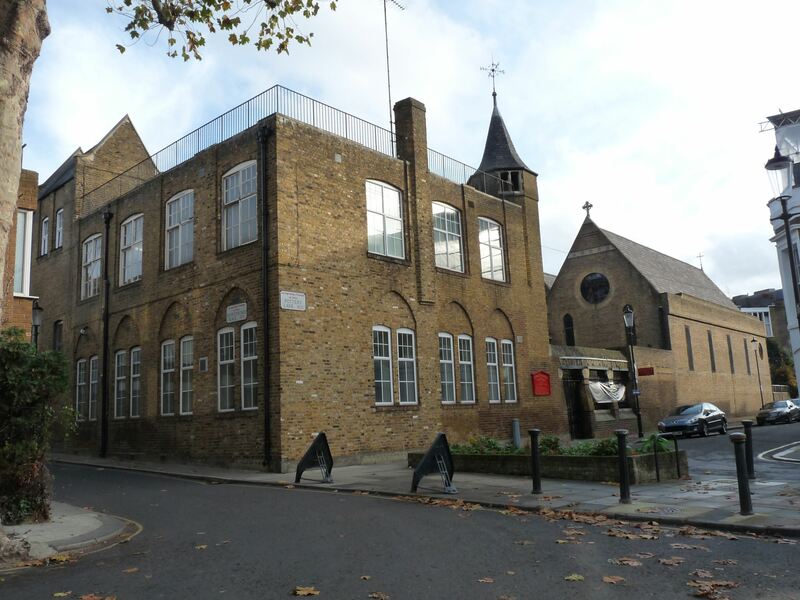 The story behind the building is that of Sephardim (from the Hebrew word Sepharad for Spain) who were expelled in 1492 after the Inquisition. 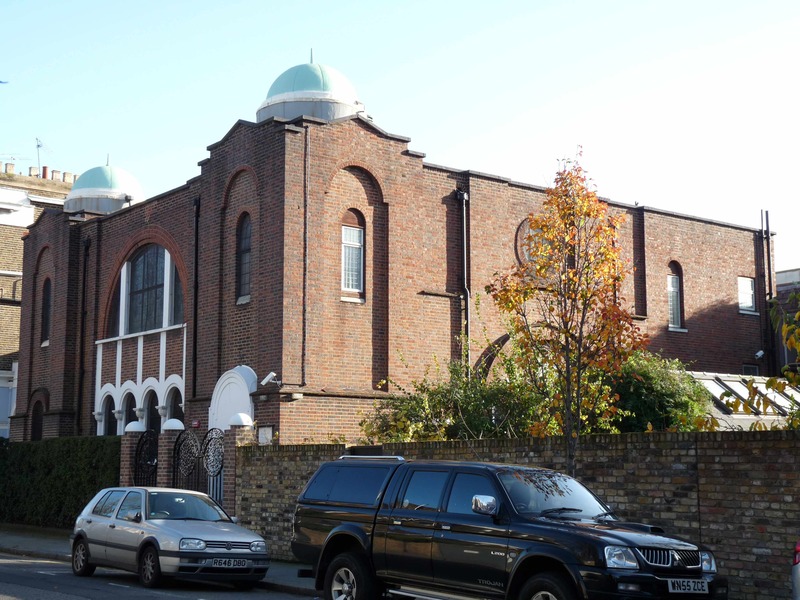 First settling in North Africa and in the Ottoman Empire, when the latter started to crumble, they headed towards Europe.By the beginning of WWI, a community of some 700 families had settled in the Shepherd Bush area. Fired by a vision of holding their religious services in their own Synagogue, the community started saving. 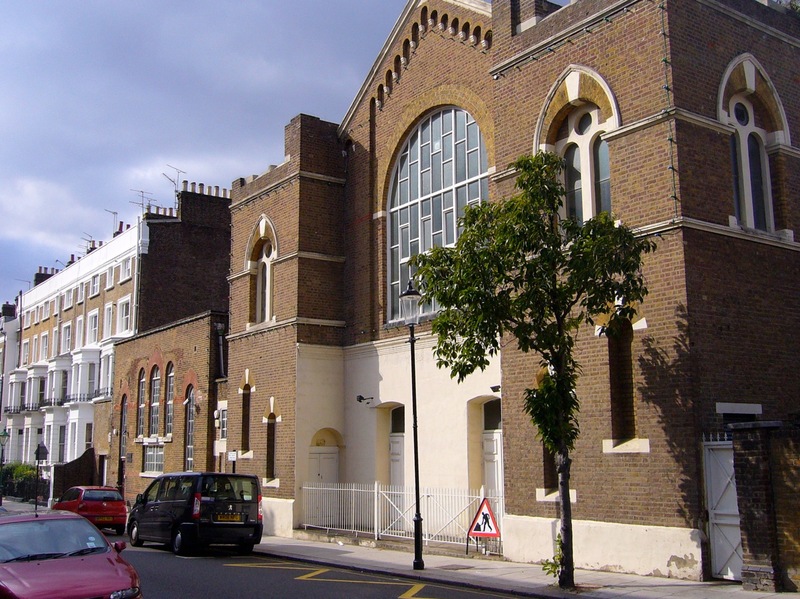 After years of regularly collecting sixpences and a few generous donations, building began in 1924 and the Synagogue was finally consecrated in 1928. For more on the history of the Synagogue click here. 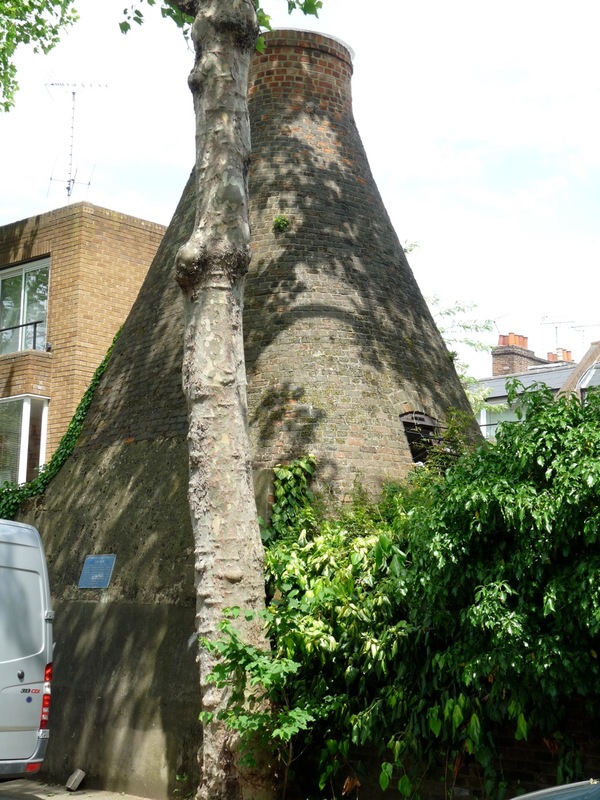 Today, Pottery Lane is part of one of London’s “outstanding” Conservation Areas and only one original kiln remains. It is one of the few remaining Bottle Kilns in London. Originally erected in the 1860′s by Mr Varley, a Baptist businessman who wanted to preach in the neighbouring Potteries, it was later used as an industrial warehouse. In the last 20 years it has found a new religious use, as an Iranian Shia Mosque and the headquarters of the Islamic Universal Association. 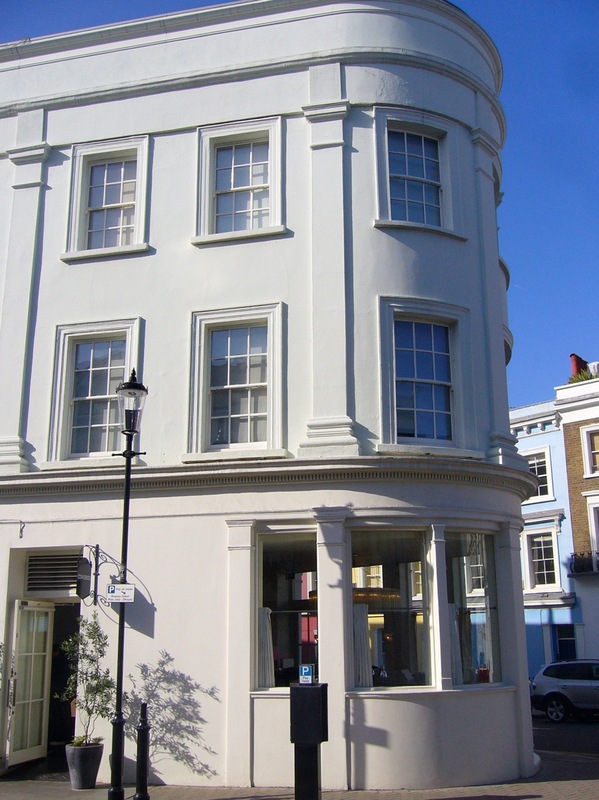 At the junction of Penzance Place and Princedale Road is a corner building which was at one time a public house called The Unicorn. 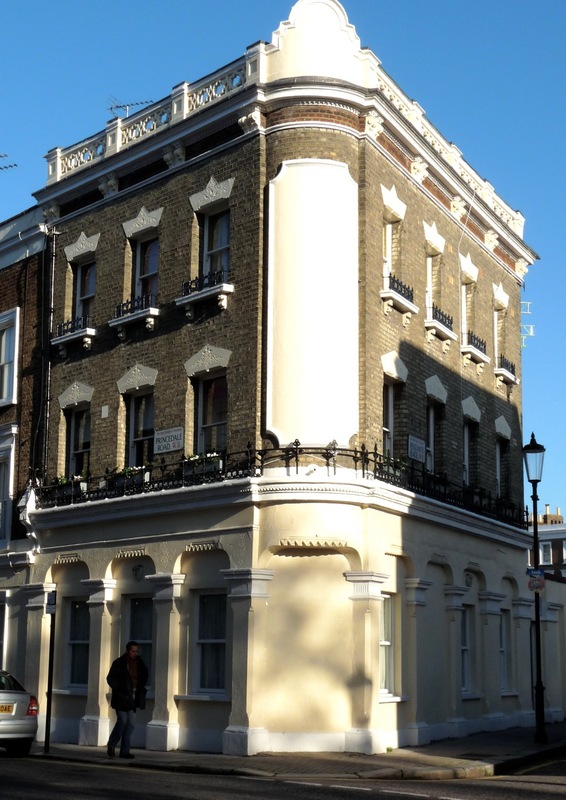 Now a residential building it is made of stock brick stuccoed to first floor level with small ground floor windows set between pilasters in large arched surrounds. 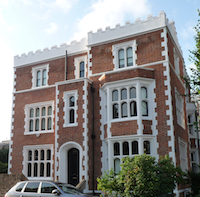 Decorative features such as elaborate balcony railings and a pierced balcony parapet make number 84 a focus of interest on the open junction. Occupying a commanding position at the northern end of Addison Avenue, the Church was designed by Lewis Vulliamy “in the Gothic style of the twelfth century.” in 1844 it cost just under £5,000 to build and was consecrated in 1845. St Francis of Assisi Roman Catholic Church and The Presbytery completes the multi-cultural assortment of religious buildings in the area. 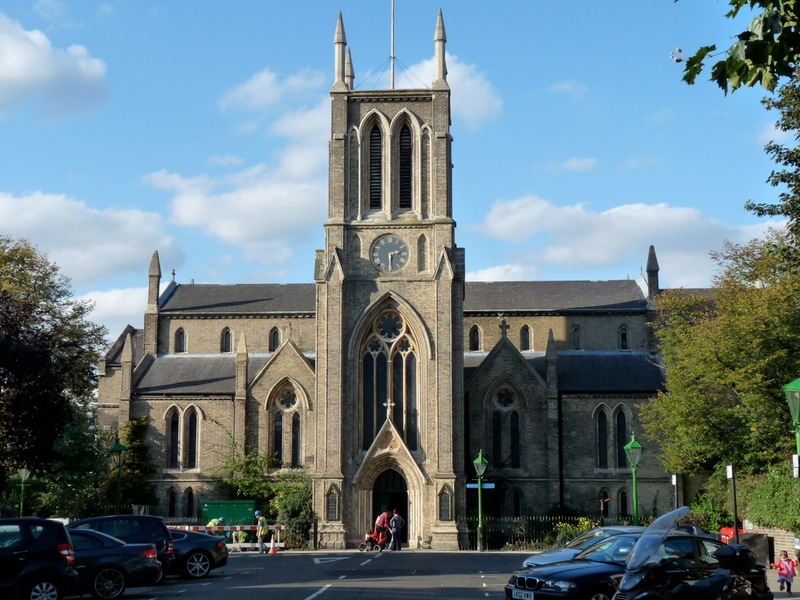 It was designed by Henry Clutton (1819-93), and the work was supervised (1859-60) by J.F.Bentley, the future architect of Westminster Cathedral. 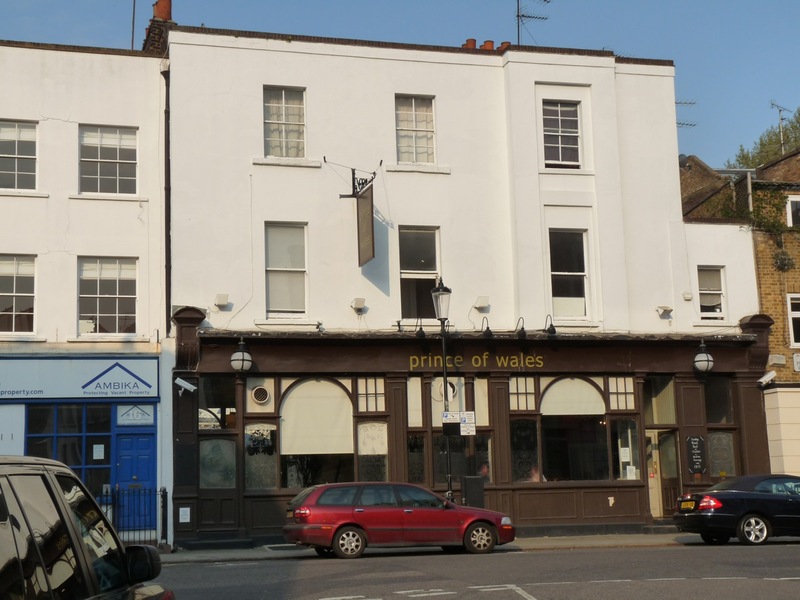 This pub was built in 1845 and was once famous for its etched glass windows. According to a former landlord, these windows were photographed by Lord Snowdon and used as a model for the feather emblazoned on the canopy at the investiture of HRH Prince Charles as Prince of Wales. Unfortunately, some years ago, the principal windows were smashed and have yet to be restored. 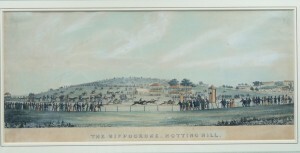 The Hippodrome was a racecourse built in 1837 by John Whyte. Whyte intended the racecourse to rival those at Epsom and Ascot but critics were split in opinion over the build. Its location near to the slums was particularly contentious. The heavy clay of the area also caused the training ground to be waterlogged for much of the year and too dangerous to use. The image of the Hippodrome deteriorated until it was closed in 1842. Only Hippodrome Place, a small street off Pottery Lane, is left as a memorial to Whyte’s ambitious venture. 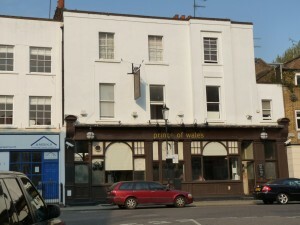 The Portland Arms Public House is now known as the Cowshed. 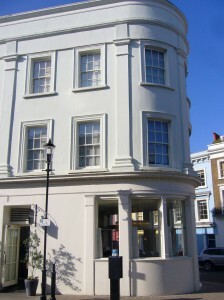 A luxury spa nestled in the junction of Portland Road and Penzance Place.The building has an impressive curved facade and has been cleverly articulated with eight pilasters, a prominent cornice above the ground floor, plain architraves, string courses above the second floor windows, and a secondary cornice at roof level. 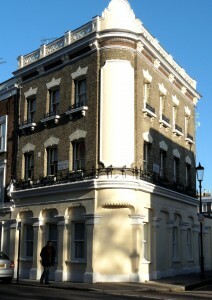 Eighteen sash windows decorate the upper two storeys. .The restoration of the building in 1977 was entered for the Jubilee environmental award scheme, but without result. A proposal will be made to English Heritage for its listing. 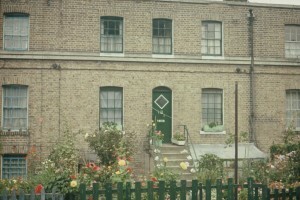 Prince’s Place used to consist of cottages with country gardens full of dahlias. Unfortunately some of the houses were doomed to demolition in the 1970s. The redevelopment of Prince’s Place took place in built 1977, with the purpose of keeping pedestrians and houses away from increasing traffic. 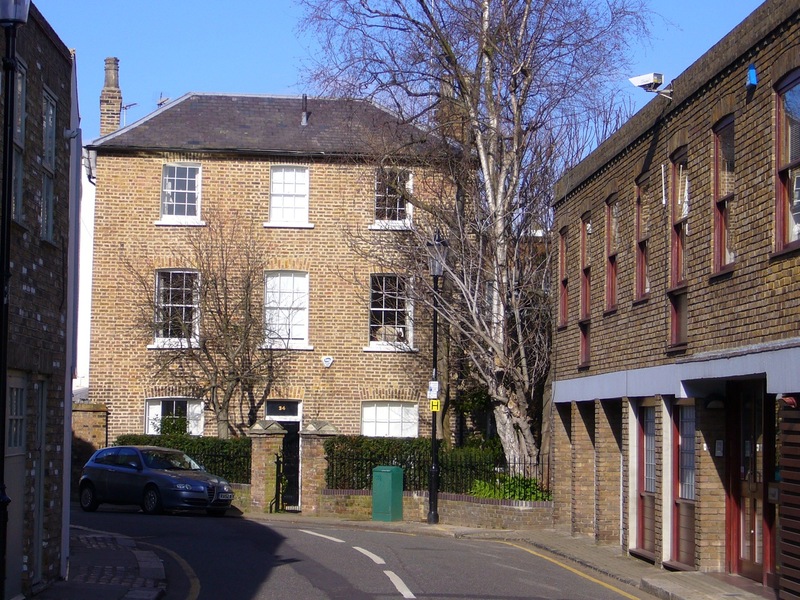 The scheme’s architects were Jefferson Sheard and Partners working for the Rowe Housing Trust. The development won a DoE award for good design in housing in 1977 but has sparked some aesthetic disquiet since it was built.